Summer of 2018 marked a new milestone for Cybis as we took on the production of HOSA’s 41st Annual International Leadership Conference. For the first time in Cybis’ history, ~10,000 students and members gathered together in one enormous hall to celebrate the sheer magnitude of this future-focused organization and the importance of their mission. With everything being bigger in Texas, the 2018 ILC in Dallas allowed Cybis the space to create something special. 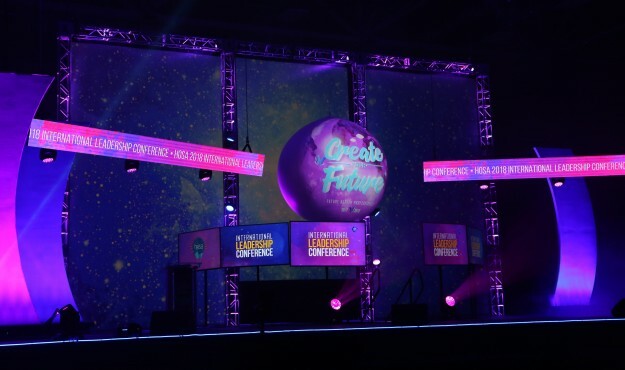 We came up with more creative ways to excite the members of HOSA-Future Health professionals: bigger screens, a large center stage entrance, and the set’s focal point: a spherical globe projection screen. All of these elements were used to attract attention from every corner of the gigantic space. 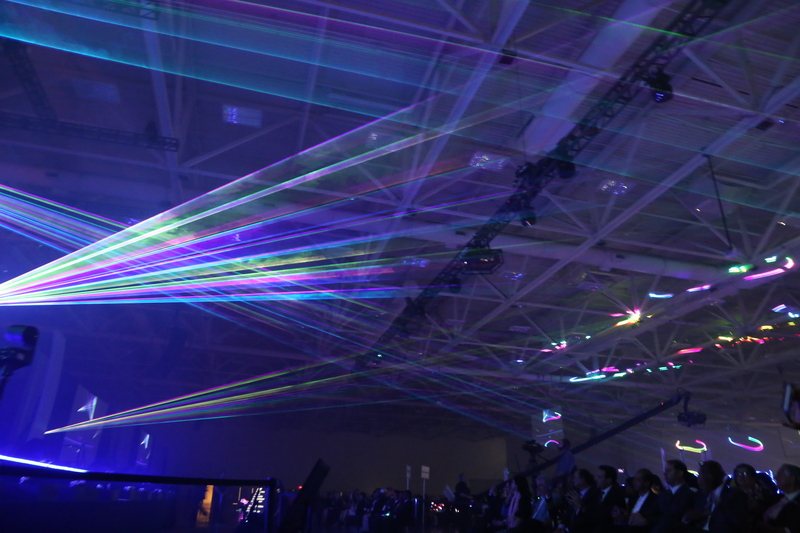 To highlight the high-level goals of HOSA, Cybis coordinated a glorious introduction to the conference with a pyrotechnic show along with lazers and music as well as an exciting video to hype up the audience and bring awareness to the unique impact of the organization. With a large audience comes large responsibility, and Cybis rose to the challenge. 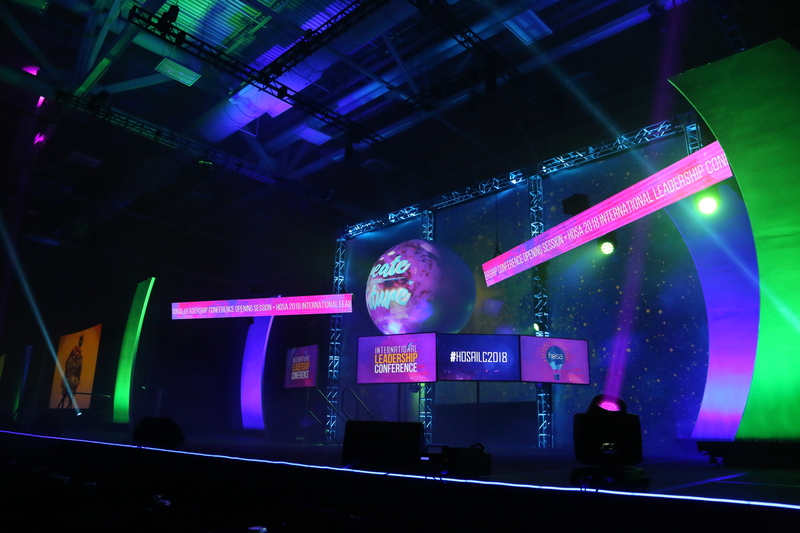 Pre-shows were a party, general sessions filled the hall with roars of excitement, and outros attracted crowds of students eager to take photos on the elaborate custom stage. Everyone in attendance left with elated energy, marking another successful production for Cybis and HOSA-Future Health Professionals.